Nietzsche said: “nothing is worth living for without music.” 117 years later after he passed way, there are many tools for us to enjoy wonderful music, for instance, Sony Walkman, iPod, iTunes, Kindle Fire, smart phones, iPad, computers, etc. Sometimes, too many choices brings a little bit trouble to us. Some prefer listening to music with their Sony Walkman. Therefore, Apple Music subscribers may want to put the music purchased into their MP3 players. A best program solution will be discussed below. Sony Walkman, a digital portable audio/video player by Sony, has many series including MiniDisc Walkman, Network Walkman, ATRAC HDD, Walkman MP3, Walkman Video MP3, and High-Resolution Walkman. Almost all of them support MP3 and WMA (NON-DRM). The tech giant Apple provide Apple Music streaming service and people can subscribe Apple music monthly or annually on Windows, Mac, iOS, Android and Apple TV. While all downloaded Apple Music songs are all DRM protected. If you want to play those songs, you must log in your Apple ID to authorize the devices. But, as you know, Sony Walkman is not among those devices. 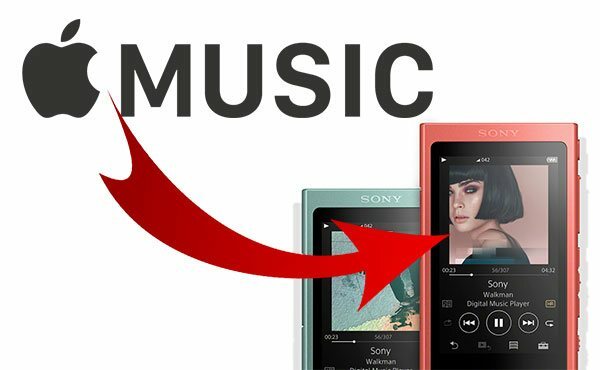 Under this circumstance, how can we enjoy music from Apple Music on Sony Walkman? The pain point is DRM protection. That means removing DRM is the best way to realize it. To make it clearer, it is highly advised to convert DRM-ed M4P to DRM-Free MP3. The TuneMobie Apple Music Converter will be of great help. 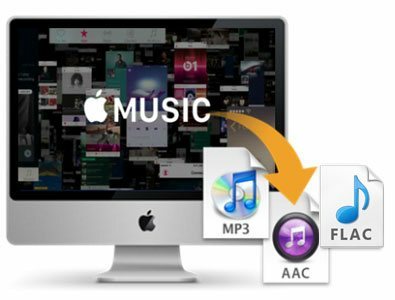 TuneMobie Apple Music Converter is a powerful yet easy-to-use program which aims at converting DRM protected M4P songs to different types of audio files without DRM. After conversion, all the songs can be played in Sony Walkman freely. Then what’s the features of TuneMobie Apple Music Converter? So, are you excited by those amazing features? Let’s download it and have a try. The software TuneMobie Apple Music Converter is very user-friendly. Just take several minutes to read the instruction and you can convert the Apply Music as your will. Now, let’s have a glimpse of how to apply this converter to real use. Launch TuneMobie Apple Music Converter after you install the program and you will get the interface as the picture below. iTunes will be launched automatically at the same time. Apple Music tracks, audiobooks and other media files in the iTunes library will be listed as playlists in the left panel. Apple Music Playlists from Apple will be separately listed in the bottom of the left panel. On the main interface, you can also see the Output Settings and Metadata information at the bottom. Click a playlist in the left panel and tick the checkbox to choose the songs from Apple Music that you want to convert to your Sony Walkman. 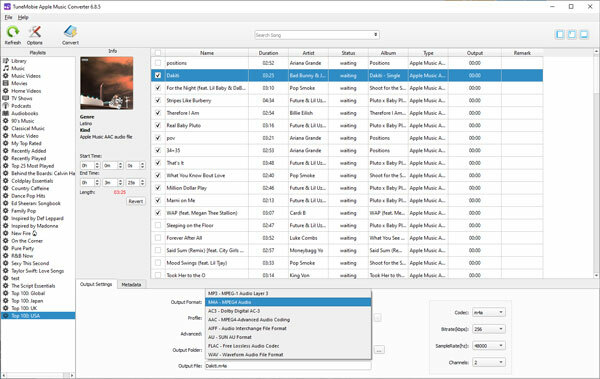 Tick the top checkbox to choose whole playlist. You can also use provided search box to locate your favorite Apple Music songs exactly and quickly. 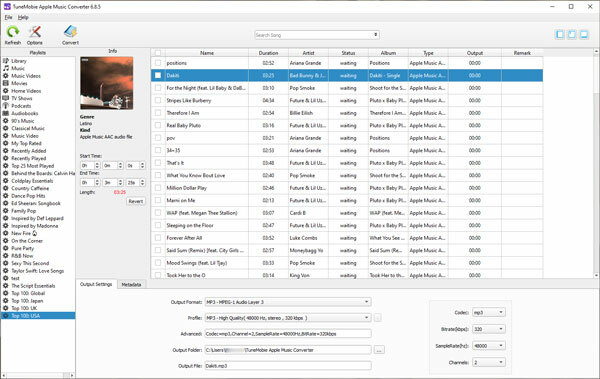 As what was mentioned, TuneMobie Apple Music Converter supports varied output formats including MP3, M4A, FLAC, AC3, WAV, AU, MKA. Usually, MP3 and M4A are the optimal choices. You can see all the formats in option box of “Output Format”. Just select the format that suits you best. Of course, you can also change the other default settings such as output file name. Please don’t forget that you are allowed to rename the songs using ID tags and characters like hyphen, space, underline, etc. in Options. Just click the “Convert” button on the top-left of the interface. You will have an overall view of progress of all songs being converted. Converting speeds can be 1X ~ 16X. Choose the speed based on your need. Once the conversion is done, the music output can be put in your Sony Walkman freely without any loss of quality. Please connect your Sony Walkman to the computer using USB cable. Next, copy the converted songs from Apply Music and paste them to the Music folder of the Walkman. Then, just remove the USB cable and simply press the “Play” button. Now you can enjoy your beloved Apply Music flowing into your ears through Sony Walkman. Aha! Life is not as hard as you think. If you keep searching, there are solutions to each so-called problem. So next time, in the event that your friend complains that he is not able to enjoy Apple Music on his Sony Walkman, be his problem solver and recommend the brilliant software TuneMobie Apple Music Converter to him so as to make his life easier as well. Hope music adds spice to your life. 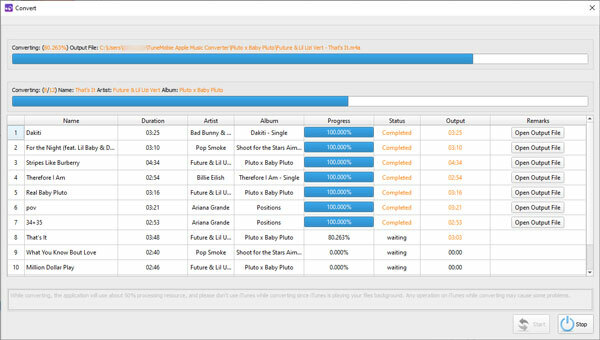 By the way, if you prefer watching iTunes films on your Sony products, TuneMobie iTunes Converter Toolkit will be a better choice for both music and video converting.